As an asymptotic giant branch star becomes larger and more luminous, the rate at which is loses mass also increases. For stars less than 8 solar masses, a strong stellar wind develops and the outer layers of the star are removed to expose the hot degenerate core. 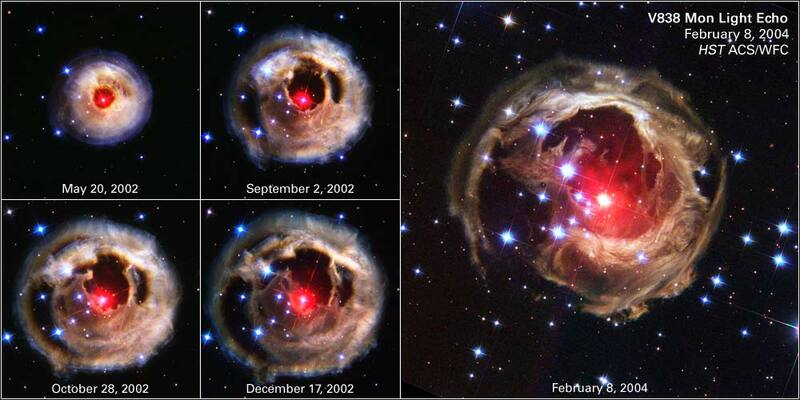 As the gas is expelled and the core is visible, the color of the star becomes much bluer and moves to the left in the HR diagram at constant luminosity. Only a few 1,000 years are needed for the temperature of a star to grow to 30,000K. At this temperature, the star begins to emit large quantities of UV radiation. This UV radiation is capable of ionizing the hydrogen shell of matter that escaped from the star during the AGB phase. This shell of ionized hydrogen glows deep red as a planetary nebula. In the center of the planetary nebula is the remnant core. Stars above 25 solar masses end their time as AGB stars by becoming supernovae. 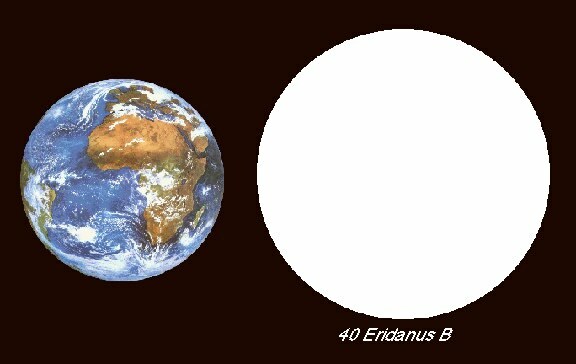 Our knowledge of white dwarfs began in 1850 with the discovery of a companion to Sirius, called Sirius B. It was 10,000 times fainter than Sirius A, however its mass was 0.98 a solar mass. Since its temperature was measured to be 10,000K, its small mass and faint luminosity did not make sense in the context of the mass-luminosity relation for stars. The only way it could be both hot and faint was for Sirius B to be very, very small, and so they were called white dwarf stars. White dwarf stars are much smaller than normal stars, such that a white dwarf of the mass of the Sun is only slightly larger than the Earth. It was soon realized that the gas inside a white dwarf was too dense to behave as an ideal gas and, instead, was degenerate. For normal stars, if you increase the mass, the star gets larger, its radius increases. However, for white dwarfs, the opposite is true, increasing the mass shrinks the star. Notice that at some mass the radius of the star goes to zero. The size of a star is a balance between pressure and gravity. Gravity pulls the outer layers of the star inward. Pressure pushes those layers upward. In a degenerate gas, increasing the density does not increase the pressure (opposite to a normal gas). But increased density does increase gravity. So, as you add mass to a white dwarf, the gravity increases, but the pressure only changes a small amount. Gravity wins and the star shrinks. Notice that the mass-radius relation for white dwarfs means you cannot keep adding mass to a star, for eventually its radius goes to zero. This also means the massive stars (with masses greater than 1.4 solar masses) must shed most of their mass as planetary nebula or the final contraction to a white dwarf cannot be stopped by the degenerate electrons. If the mass can not be shed they will become neutron stars or black holes. White dwarfs are quite common, being found in binary systems and in clusters. Since they are remnants of stars born in the past, their numbers build up in the Galaxy over time. It is only because they are so faint that we fail to detect any except for the very closest ones. Once a white dwarfs contracts to its final size, it no longer has any nuclear fuel available to burn. However, a white dwarf is still very hot from its past as the core of a star. So, as time passes, the white dwarf cools by radiating its energy outward. Notice that higher mass white dwarfs are small in size, and therefore radiate energy slower than larger, small mass white dwarfs. Radiative cooling is one way for a white dwarf to cool, another way is neutrino cooling. At very high temperatures, around 30 million degrees K, gamma-rays can pass near electrons and produce a pair of neutrinos. The neutrinos immediately escape from the white dwarf (because they interact very weakly with matter) removing energy. On the other hand, as a white dwarf cools, the ions can arrange themselves in a organized lattice structure when their temperature falls below a certain point. This is called crystallization and will release energy that delays the cooling time up to 30%. The cooling process is very slow for white dwarfs. After a billion years the typical white dwarf is down to 0.001 the luminosity of the Sun. But the endresult is unstoppable as the white dwarf will eventually give up all its energy and become a solid, crystal black dwarf. There are many reasons why a star might increase in brightness in a sudden and explosive-like manner; the collision of two stars, core changes, unstable pulsations. However, novae are often recurrent, meaning that after 50 to 100 years the nova will go off again. This means that whatever causes the brightness changes must be cyclic (i.e. it doesn't destroy the star). The best explanation for novae is surface fusion on a white dwarf. By definition, white dwarfs no longer have any hydrogen to burn in a fusion reaction. They have used all there hydrogen at earlier phases of their life cycle. However, a white dwarf in a binary system can `steal' extra hydrogen from its companion by tidal stripping. Eventually the main sequence star will evolve to become a red giant star. As the red giant star continues to expand it will exceed its Roche limit and hydrogen gas will stream across to the white dwarf, spiraling inward to form an accretion disk. 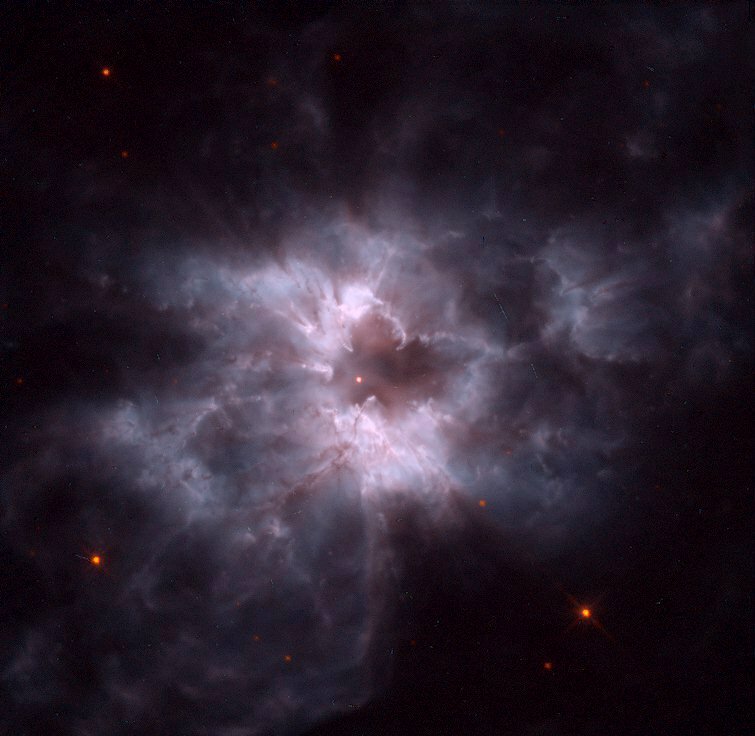 Hydrogen gas will build up on the surface of the white dwarf where the surface gravity is extremely high. After a few decades, the pressure and density of the hydrogen outer shell will reach the point where fusion can begin and the shell explodes in a burst of energy. 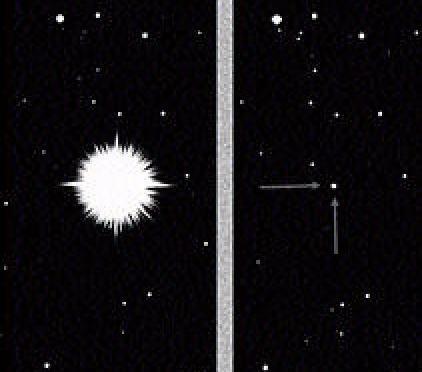 After the shell is fused, the process starts over again, thus explaining why we see recurrent novae. Observations of old novae, several years after the event, demonstrates our theory is correct with the discovery of expanding shells of gas around DQ Her and GK Per. These shells are moving away from the binary at about 1,000 km/sec. We will see a similar scenario around binaries where one of the pair is a neutron star. Since the pressures on the infalling gas are so much higher, most of the energy is released in the x-ray, called an x-ray burster. 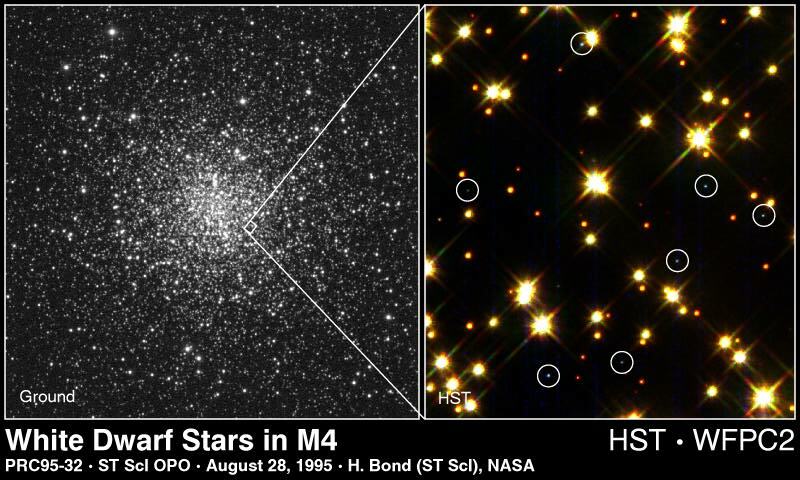 Because most stars evolve to white dwarfs, novae are relatively common in the Galaxy. About 200 have been discovered in the last few 100 years.